Release your inner self with a personal training session. 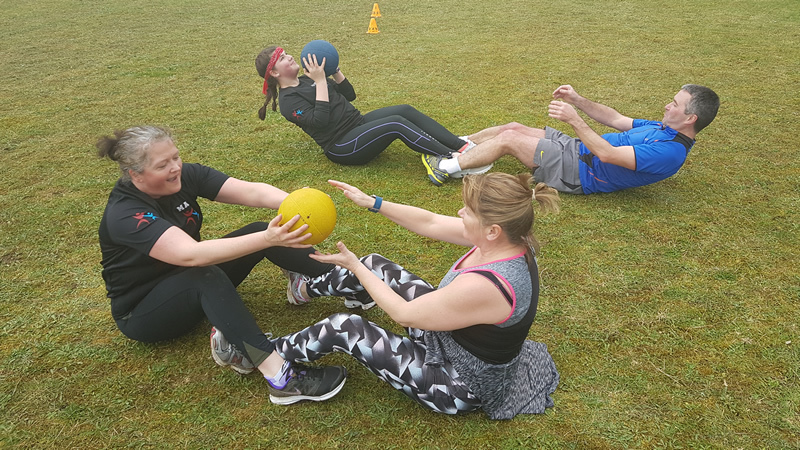 For getting fitter and living life to the maximum, TW Fitness has a range of 1-2-1 and group sessions perfect for anyone looking to just get more out of life. Call Tom on 07892 945060 to get more infomation. 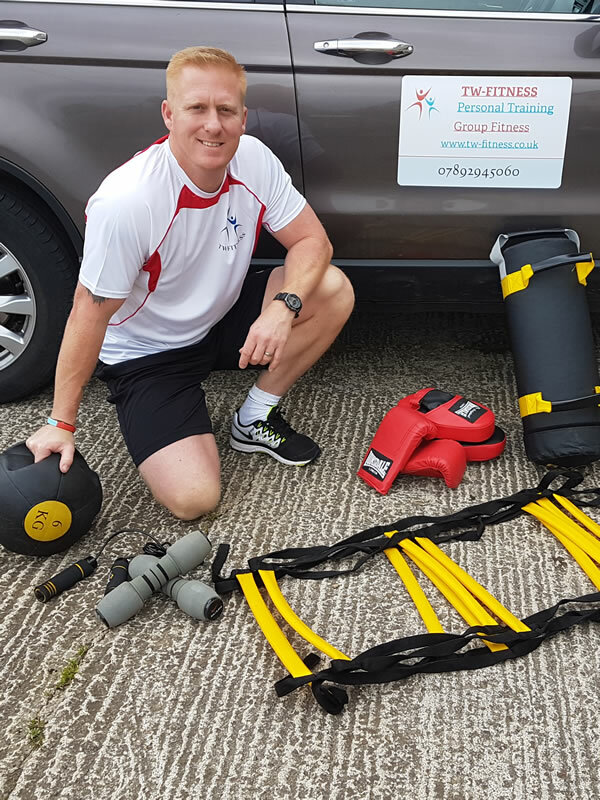 Searching for a personal trainer in Carterton ? Based in Carterton and servicing the Oxfordshire area. If your looking to improve your fitness, my methods are effective and fun. Personal Training, once thought to be for the few, such as the rich and famous is now more accessible. Here at TW Fitness we pride ourselves in offering an excellent package of Personal Training coupled with on going nutritional advice giving our clients the results that they want to see in their fitness, health and well being. Undertaken in the comfort of your own home you firstly receive a full consultation with the trainer. You will be asked medical questions, your goals and aspirations and asked to fill in some paperwork. Next comes the fitness assessment, this will consist of some cardio exercise, stretches and medical assessments such as blood pressure being taken. This will be used to show the trainer your current abilities, flexibilty and your general readiness to start training. "I have been working with Tom since Jan 2009, he has really focused my mind into getting fit and staying fit. For me, having Tom as a personal trainer has been so motivational. Exercising has already made me feel better in myself. I have more energy and I've noticed differences in my body shape and fitness level in a short period of time. With Tom's help I am now more focused on my diet and making time to exercise between appointments. This has to be the best way to get fit." Suitable for all working at your pace with fun like minded. Buy 10 sessions and get the 11th free. Monday 19:45-20:45 - Elderbank Hall Brize Norton £5. Wednesday 20:00-21:00 - Brize Norton village school £5. As with all group activities, we have a no pressure approach,training to your best ability with plenty of motivation and encouragement. Classes are open to all abilities and fitness levels, mention toning, conditioning, improve cardiovascular, mental and physical fitness and a fun fitness class for all. If you feel there is anything that may hinder you training then discuss with the trainer and he will tweak it for you. With the first class free, what do you have to lose? Come and enjoy fitness and make new friends, We are that certain you will enjoy it you will be back for more. With all classes please contact Tom for availability. Spent the last few years training with Tom and would never be where I am now without all the support he has given me. Finally good enough to be accepted into the Royal Air Force and just graduated! Tom pushed me to better myself and made me believe in myself. He has backed me through all my failures and without his motivation I wouldn't be where I am today! Thank you Tom! Bring the team together with our unique TW-Fitness corporate motivational training sessions. Proven to reduce stress, increase interpersonal relationships and communication skills, our custom sessions offer you a great way to tackle many of today workbased issues. If you are serious about sports performance, Tom can give you the edge. Although Tom’s classes are great, the real secret to success comes from his totally tailored approach. Taking accounts of your wants and needs, Tom can create a programme that’s just right for you. While some personal trainers rely on the latest fad technique or equipment, Tom actually knows what works best. With enough time and dedication you can achieve the sport performance normally reserved for national squads and athletes. But don’t take our word for it. In a recent article in the Oxford Mail, Tom has been praised for the results his training has given the local rugby team Witney. Within a short period of intense sessions, Toms work paid off and has put Witney’s Rugby team finally on the map. Speaking to the Oxford Mail Campbell said: “We watched the county cup final on video and realised Chinnor were a lot fitter and sharper than us. So if you’re serious about sports fitness at any level, once you have spoken to the rest, speak to Tom for the best in training that works.